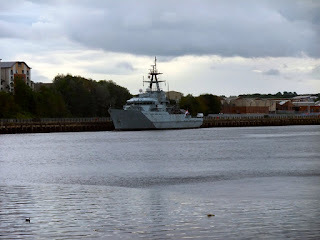 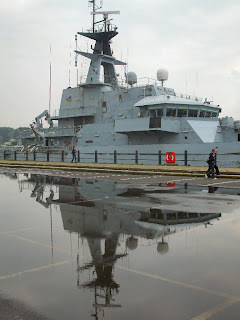 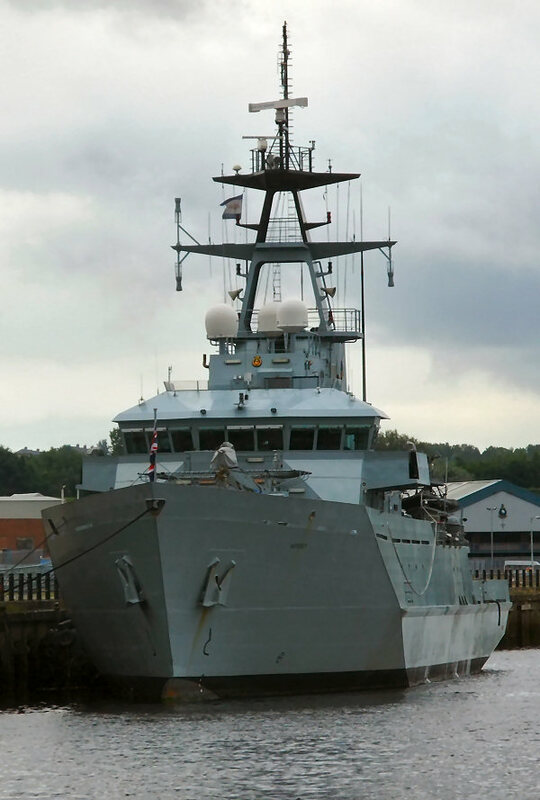 The fifth and current HMS Mersey is a River class offshore patrol vessel of the British Royal Navy. 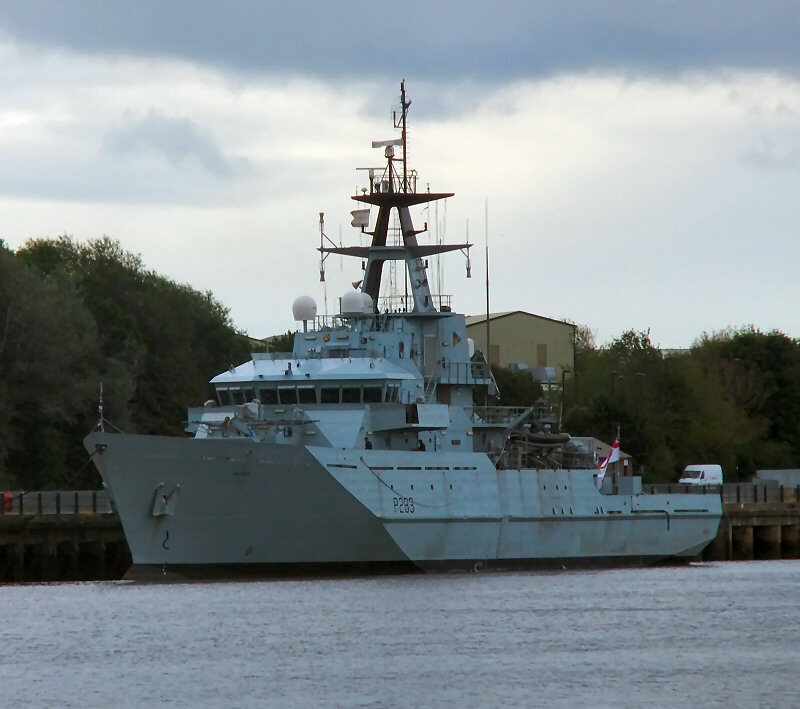 Named after the River Mersey, the ship is the first to bear the name in 84 years. 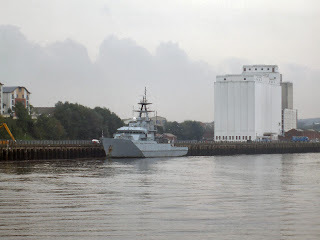 She was built by Vosper Thornycroft in Southampton to serve as fishery protection units within the United Kingdom's waters along with her two sister ships Tyne and Severn. 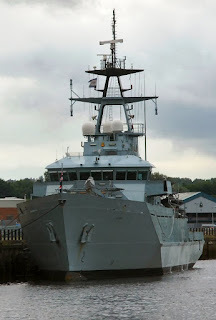 All three were commissioned into service in 2003 to replace the five older Island class patrol vessels. 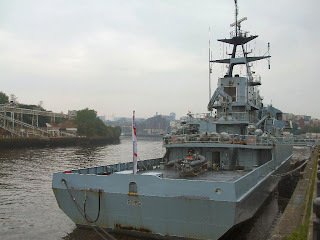 She was commissioned into the Royal Navy on 28 November 2003.